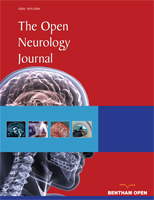 The Open Neurology Journal is an Open Access online journal, which publishes Research, Reviews and Letter articles in the field of neurology, aiming at providing the most complete and reliable source of information on current developments in the field. This journal publishes open access reviews on recently published books (both print and electronic) relevant to the journal. Publishers and authors of books are invited to contact our book reviews editor at toneuj@benthamopen.net with book review requests. All submitted books will be reviewed by an independent expert in the field. No page charges will be levied to authors for the publication of book reviews. Case reports should describe new observations of findings or novel/unique outcomes relevant to the filed. The total number of words for a published case report is 1500 to 2000 words with 40 or more references excluding figures, structures, photographs, schemes, tables etc. In case there is a need to present lengthy, but essential methodological details, use appendixes, which can be a part of the article. An appendix must not exceed three pages (Times New Roman, 10 point fonts, 900 max. words per page).The information should be provided in a condensed form, ruling out the need of full sentences. A single appendix should be titled APPENDIX, while more than one can be titled APPENDIX A, APPENDIX B, and so on. All authors must strictly follow the guidelines below for preparing illustrations for publication in The Open Neurology Journal. If the figures are found to be sub-standard, then the manuscripts will be rejected.